Just like other detailing procedures, using a planned system assures that your windows will be cleaned properly. 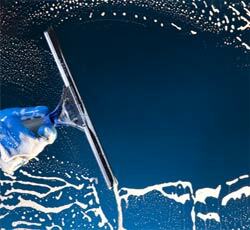 We clean our windows “California Style”… we hand wash and squeegee each window. This process enables us to clean without streaking; we also wipe out your sills at no extra cost. We have the proper equipment and training for all types of windows; storms, Tru-divided, skylights, chandeliers, light fixtures, ceiling fans, glass atriums, plus stain and scratch removal. Whether you have a commercial building or a private residence, we can accommodate your needs. Dirty screens…? We can wash them too! We power-scrub each screen separately, rinse them with clean water & wipe them dry from end to end.